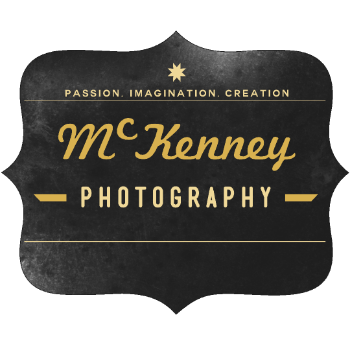 Welcome to McKenney Photography. We are a full service portrait studio located in Biddeford, Maine. We love what we do, and cannot wait to work with you! Take a look around, and we hope to see you soon! We cannot wait to be part of your day!We will work tirelessly to provide images that you will not just like, but love. Your precious memories of your little one deserve to be beautifully captured and preserved for generations to come. From bump to newborn, these are the memories you will want to capture as you welcome a new arrival into the family. We will capture beautiful and pure images of your precious child. Serene and timeless, we will capture these treasured moments for you to enjoy for a lifetime. Contact us today to schedule your appointment, and talk with the photographer about your vision. Let McKenney Photography help to capture your family through each stage of their lives. We love working with children and families, documenting your families lives as the years go by. Trust us for all the important events in you life, to capture the moments and create memories your family will cherish forever. We strive to incorporate your personal family style,, and capture the growth, love and spirit that encompasses your family through the years. Book your session today! Let McKenney Photography help to tell your story with images of confidence and approachability. Whether you want classic, traditional, modern, or something completely unique and different, we can help you create the portrait that best suits you, your brand, or business, and help you stand out! From corporate head shots, actors, real estate professionals, insurance agents, first responders and the medical industry, Let McKenney Photography show the true you. In Studio, on location or at your location. Ask about our group rates! McKenney Photography is your go to choice for music events. Our talented team has the skill to capture your unique event, providing professional images for promotion and marketing. Let's talk about your event today! McKenney Photography is Southern Maine's premier sports and dance photography company. From team and individual photos days, custom banner shoots, action services and individual sports impact sessions, we are passionate about capturing the true essence of your athlete. Our talented staff, creative lighting and posing, and unique league programs set us apart from the competition. We cannot wait to work with you! Throughout the year, McKenney Photography provides themed mini sessions for our clients. From our fun with bunnies sessions, tree farm minis, V-Day and fall events, there is something for everyone. These quick and affordable sessions are a great value for our clients!